Most of you know that I am a homeschooling mom of 7, I sell essential oils, and I blog. Seriously life can be crazy around here! If we don’t make the time my husband and I can be passing ships in the night. We are always going different directions and we have to make intentional time for each other! After 13 + years of marriage dating is the glue that holds are marriage together. Sometimes we don’t always have the budget to go out but we still try to have a date every week. 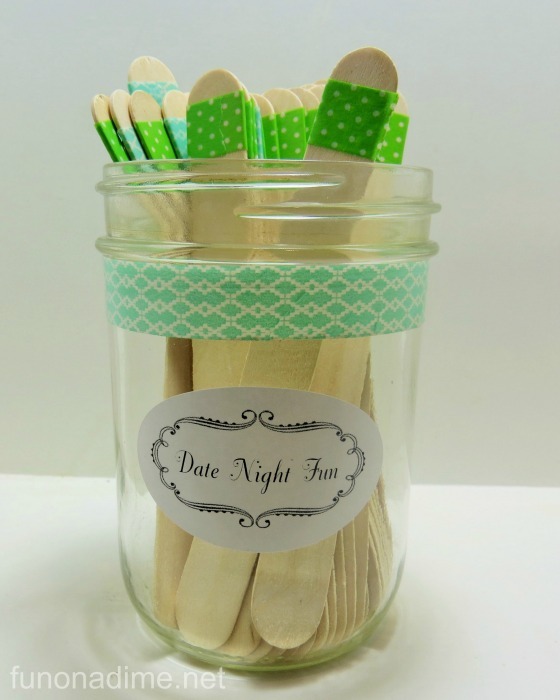 We have found that without a plan it is way to easy to just forget about the date night so I made a fabulous date night jar that is packed full of fun and easy at home date night ideas! I color coded the sticks because some of them need just a little bit of preplanning! 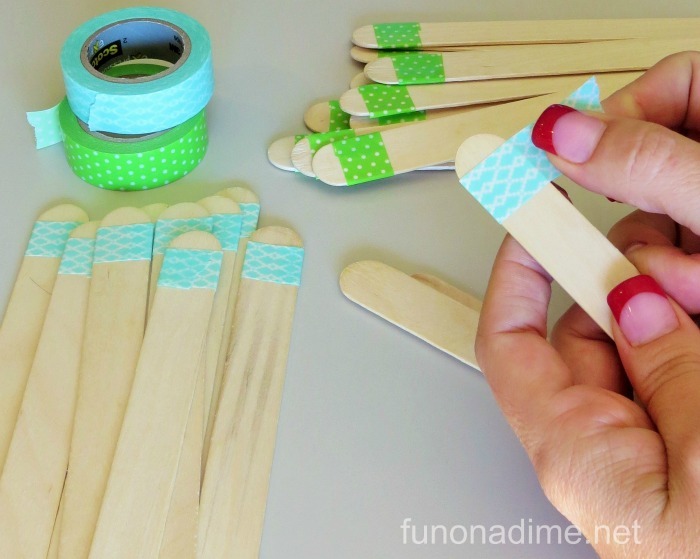 To make your own jar wrap washi tape around the top to keep the activities separate. 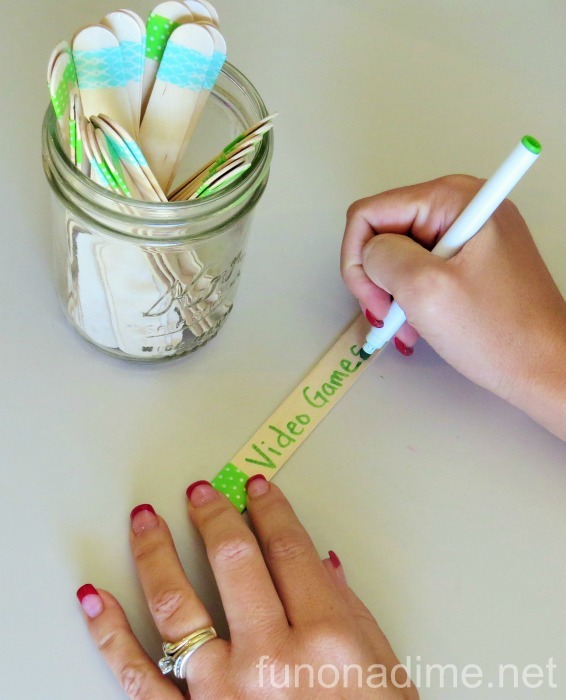 Next write the activity on the Popsicle stick with a marker. Decorate the jar however you like! Super cute and ready to use. Now check out all the fabulous ideas I found. I can’t wait to try out all of these! Living room camp-out. Blow up an air mattress and grab some sleeping bags! Reminisce years past and have a dance party. Have a video game marathon. Catch up on a t.v. series you are watching. Look at the stars and dream together. Sit around a fire pit and make smores. Write a bucket list. We each wrote our own and then compared. It was fun we had many things that were the same. Make a journal together and write love notes back and forth to each other. Leave it buy your bed and keep it up! Play a board game. We like scrabble and sequence the best. Make a mixed tape or digital version now a days. This was the thing to do when we were kids!! Learn something new together. Check out youtube for lots of how to’s. Drive in movie in the garage. Watch a movie on your laptop. Watch a video of a concert. Read a book aloud to each other. Plan a future vacation. Dream big! DIY photo-shoot! Use a tripod and take pictures around the house with different props. Chopped Challenge at home. Have your friend fill a bag with ingredients neither of you know about. Set a timer and race the clock! Watch the first movie you ever saw together. Make something together. 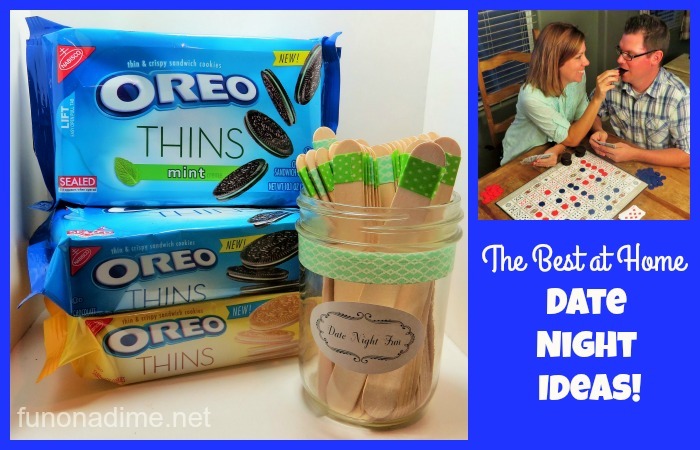 We all have lots of Pinterest projects just waiting for us to create! Buy or check out a big stack of magazines for each of you and have an at home book store date. You can even serve fancy hot drinks and dessert! Eat a candle lit dinner. Watch a sports game and eat nachos and homemade hot wings. Have your own book club. Now that you have made your jar it is time to have some fun with it! 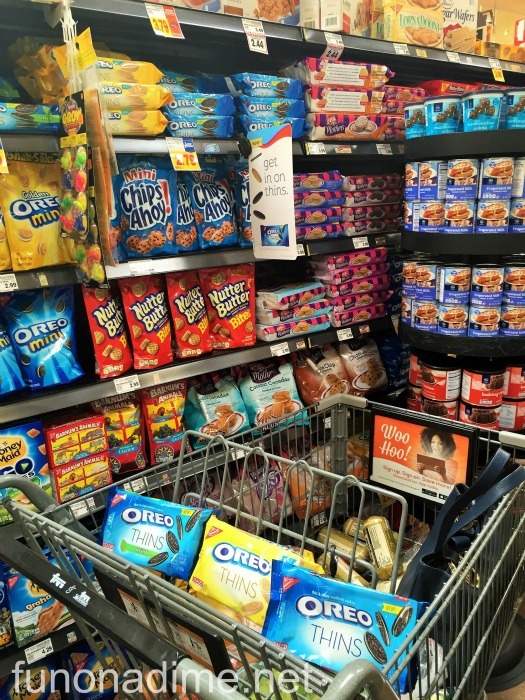 In preparation for our at home date nights I picked up some dessert treats to have on hand at the house for us. It’s not a date night without a little treat after all! I found these new OREO Thins at my local Fry’s and I am super excited about them! 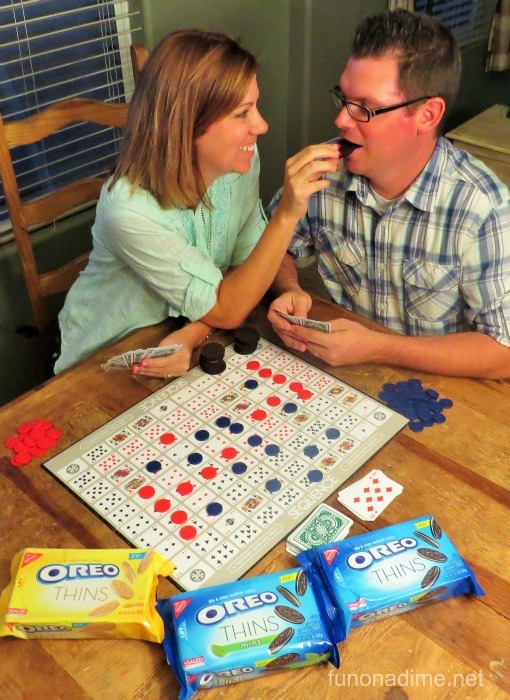 They are a thinner and crispier OREO and a perfect date night treat! I couldn’t decide which ones to get so I got them all! Now to find someplace to hide them from the kids! Hope you enjoy your date night jar as much as we have! Remember date night is suppose to be FUN!! Make sure and share any other ideas you came up with to add to the jar!